Jan. 23, 2019	Bangladesh	102 Min. দ্বিতীয় কৈশোর | Ditio Koishor… Screenplay & Direction: Shihab Shaheen.. 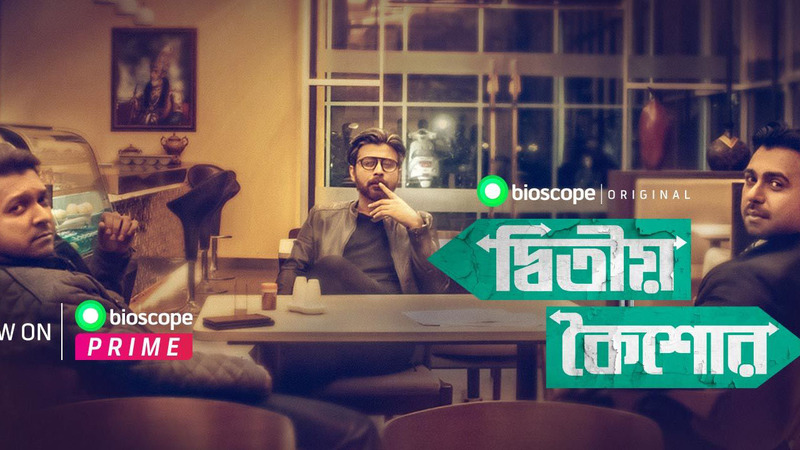 Cast: Ziaul Faruq Apurba, Afran Nisho, Tahsan Khan, Abul Hayat, Sanjida Anwar, Nazia Haque Orsha, Raisa Arpa, Rafat Jahan Affri, Selina Affri and many other…DOP: Shumon Hussain.. Art: Zia Hoq.. Edit: Jobayar Abir Peal.. Color: Rashaduzzaman Shohag.. Music, BG & Sound design: Arafat Mohsin Nidhi.. Chief AD: Ibrahim Khalil Nahid.. AD: Dipu, Shahriar Rana Chowdhury.. Producer: Good Company..